For life threatening conditions, call 999 – Accident & Emergency (A&E). Royal Berkshire Hospital in Reading. Dial 111 for urgent advice on what to do or who to see. This number is free to call from all landlines and mobiles. 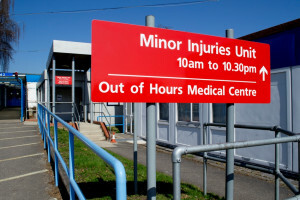 You don’t need an appointment to visit a Minor Injuries Unit. They are run by a team of highly qualified nurse practitioners with a lot of experience and expertise in the treatment of minor injuries. Some hospitals provide a First Aid Unit instead of a Minor Injuries Unit. First Aid Units provide a similar service to that provided by a Minor Injuries Unit except that they do not have the support of an x-ray service. If you think that your injury may require an x-ray then you should telephone 111 or the First Aid Unit for advice prior to attending. For more details on these services please see our Minor Injuries Unit/First Aid Units page. The out-of-hours service provides urgent medical care from 6.30pm to 8.00am on weekdays and around the clock at weekends and bank holidays. It can help you if, for example, you have a fever or sickness but do not need to go to a hospital Emergency Department. Remember to call first before going to an urgent care centre. Patients do not need to register for urgent care services. If you experience mental health crisis at the weekend, you can get support with Oxford Safe Haven by calling 01865 903 037. You must call first. We may not have a space if people arrive at the venue without calling ahead. Between 6.30pm to 9.30pm Monday to Thursday, 9.00am to 6.00pm at weekends, 9.00am to 5.00pm and 6.00pm to 9.00pm on bank holiday weekends and bank holidays. This service is available to all Oxfordshire residents (including temporary residents and visitors). Callers will be phoned back for triage and provided with either advice or offered appointments for emergency treatment. This service is for people with urgent or emergency needs only and therefore does not provide routine care or repeat appointments. 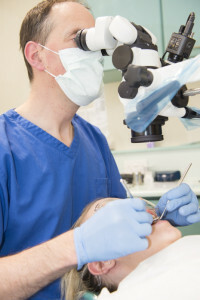 You can also also call 111 for details of NHS dental practices offering emergency appointments. The Eye Emergency Department is open between the hours of 8am and 6pm (last appointment at 5pm) Monday to Friday. During the weekend an emergency clinic is held from 8.30am to 4pm on both days. This department operates a booking system whereby patients are assessed either by phone or in person and offered an appointment.